Facebook is telling dating sites looking to begin advertising on the social network that it will begin accepting new applications for ads from those sites Feb. 15. So why is this an issue? Valentine’s Day, obviously a key day for dating sites, is Feb. 14. I am deeply disappointed in Facebook’s decision. I’m not sure how or why my status as an approved advertiser was changed. I’m also sorry to hear they can accept new partners only after Valentine’s Day. By giving preference to bigger dating sites that can pay more for ad space, Facebook is edging out smaller competitors. For months before the holidays, McGinnis had multiple ads running on the social network. Suddenly, Facebook stopped accepting payment and disapproved previously-approved ads. We recently updated our policy to require human review for ads for online dating services. We got a lot of negative feedback from people about many of these ads, and in some cases, they violated various policies. To keep the quality of ads on Facebook high, we are not currently accepting new online dating advertisers. McGinnis also shared the screenshot above with Business Insider, as well as copies of emails he exchanged with Facebook. Readers: What is your take on this story? 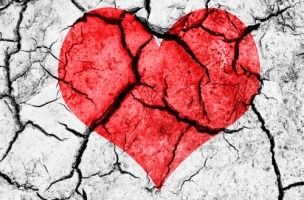 Broken heart image courtesy of Shutterstock.